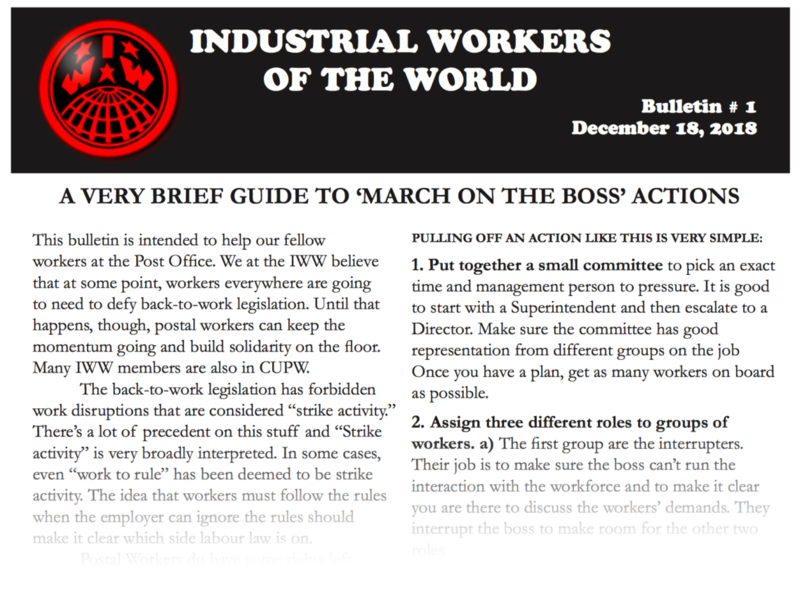 While the outside support mustered for Canada Post workers has been both inspiring and effective, these IWW members’ position is that worker power on the shop floor remains the most important part of the puzzle. Here, they suggest a form of shopfloor action that can actually take advantage of the current contract. The same type of action can be carried out at any workplace, which makes this piece of broader relevance. We at the IWW believe that at some point, workers everywhere are going to need to defy back-to-work legislation. Until that appens, though, postal workers can keep the momentum going and build solidarity on the floor.